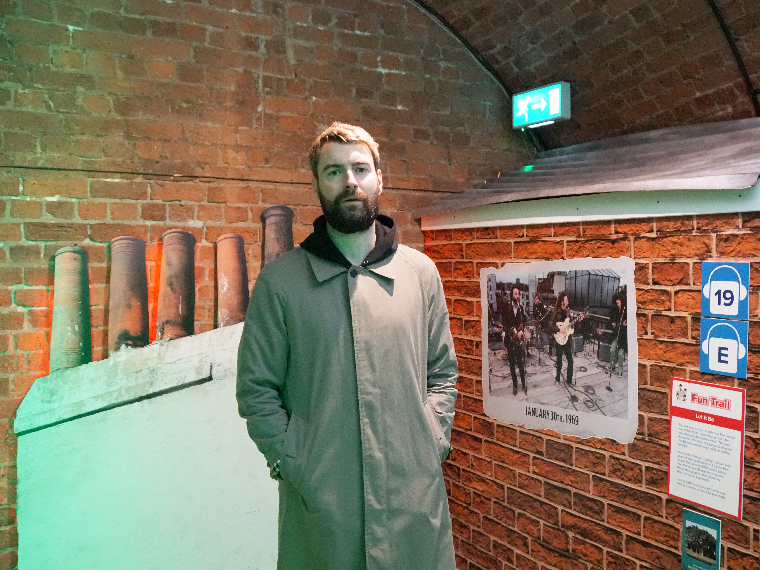 Liam Fray, the musician best known as the frontman of Manchester-based indie rock band The Courteeners, visited The Beatles Story today. 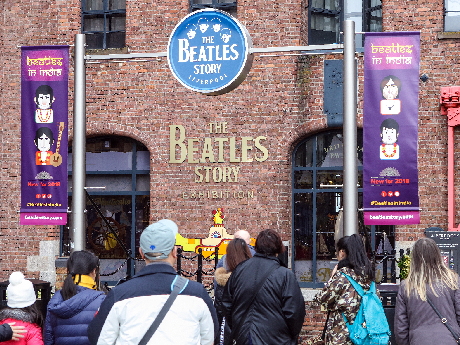 The singer-songwriter is a huge Beatles fan and travelled to Liverpool with his family to visit the award-winning attraction, taking time out from recording in the studio. It was a second visit to Liverpool in as many months for the frontman as the Courteeners played a sold out concert at Liverpool’s Echo Arena back in December. Liam and his family enjoyed a tour of the exhibition which takes visitors through an immersive history of the Beatles, from their humble childhood beginnings in Liverpool, to playing in Hamburg, recording in London, breaking America and conquering the world. When speaking to staff, Liam said: "It's the first thing I remember hearing on the stereo, I think we had the blue album and the red album. I must’ve been about six or seven. "'Get Back' always gets me, I could see us covering ‘Get Back’ maybe, that would be cool, I’ll have to get the boys in a room and see if they’re up for it. "We love performing in Liverpool. As a band from Manchester when we started out we got told that we’d struggle in Liverpool, but it’s not like football where there are rivalries, we’ve always been embraced, and when it comes to music the scousers know the drill." The Courteeners play a huge sold-out homecoming concert at Manchester’s Heaton Park this summer, for more information about the band visit thecourteeners.com. 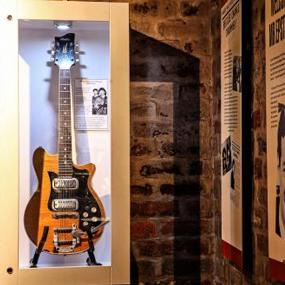 The rare Australian Maton MS-500 Mastersound electronic guitar, which recently sold at auction for almost half a million dollars (£312,000), has returned on loan to the Beatles Story. It is thought that Harrison had borrowed the guitar from Barratt's music shop in Manchester while his legendary Gretsch Country Gentleman guitar was being repaired. It was played only a small number of times during ...self-willed and selfish women who surrounded John as he grew up. A letter written by John Lennon to The Queen, explaining why he returned his MBE, has been valued at £60,000 by celebrity auctioneers Julien’s Auctions.